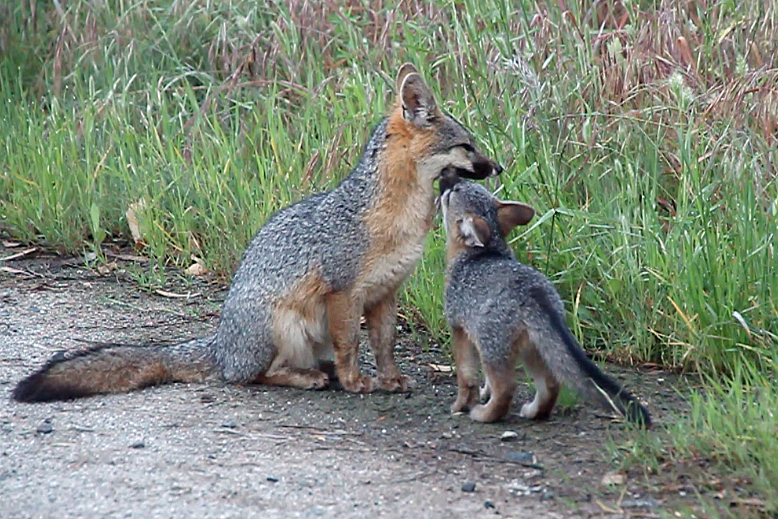 The wildlife in the gray fox research study area at the baylands is in danger. The City of Palo Alto is delaying the capping of the landfill and the expansion/restoration of Byxbee Park so that it can assess the feasibility of installing an anaerobic digester. The area in question is an important wildlife corridor between San Francisquito Creek and Adobe Creek. Gray fox dens and a diverse wildlife population are located on the land. They will be destroyed if the city’s proposed anaerobic digester is built. In the above picture, Squat and his pup Bold were both born and grew up on a part of the proposed digester site. They use the land to live within and hunt. These gray fox help keep the rodent population under control at the baylands. Fifty-one acres of now-defunct Palo Alto landfill will not become parkland in the coming year, the Palo Alto City Council decided Monday night, Jan. 14. Council members voted 7 to 2 (Karen Holman and Greg Schmid opposed) to ask county and state regulatory agencies for permission to defer capping of the landfill at the end of Embarcadero Road, a process that would keep methane gas and other pollutants from escaping. Instead, the land at Byxbee Park is to remain untouched until the council can fully explore the idea of building a composting plant there. The city could be in violation of state law if it does not cap the landfill and does not succeed in convincing regulators to grant a 16-month extension. Those regulatory agencies include the Santa Clara County Department of Environmental Health and state agencies CalRecycle and the Regional Water Quality Control Board. Violations could cost the city up to $10,000 per day in fines, city staff said. Mindful of that, council members also directed staff to explore options for legal or legislative action, should regulators deny the city’s request for an extension of at least 16 months. In postponing the landfill capping, council members said they want to preserve Palo Alto voters’ 2011 direction, given in Measure E, to set aside up to 10 acres of the parkland for a plant that would create energy from the city’s compostable waste, such as food scraps and yard trimmings. “I believe the vote gave us marching orders … and we need to take every step we can to preserve this 10 acres,” Councilman Larry Klein said. To help out the foxes and other wildlife of Byxbee, follow directions below. The wildlife of San Francisco Bay needs your help. 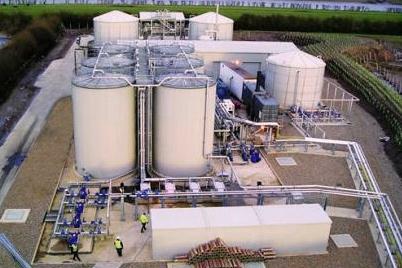 Palo Alto’s Digester might look like this one. Background: Last August the City agreed to a Stipulated Notice and Order to complete the landfill capping by 12/31/13. Now the Council wants to renege on this agreement. On 1/14/13 the City Council voted to ask Staff to request a 16 month delay in capping the landfill. We need to get letters in supporting the 2013 capping. Here is a link to the State’s order to cap the landfill by 12/31/13. 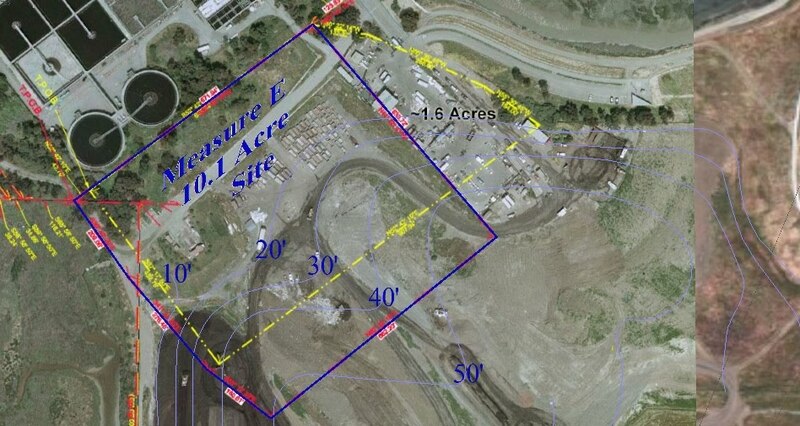 I urge you to enforce your agency’s Stipulated Notice and Order agreed to by the City of Palo Alto to cap the Palo Alto Landfill on Byxbee Park by 12/31/13. Our park has been usurped by the landfill operation for over 47 years!!! The landfill is surrounded by sensitive wildlife habitat and wetlands. Capping should not be delayed any further. Please enforce the agreed upon order.